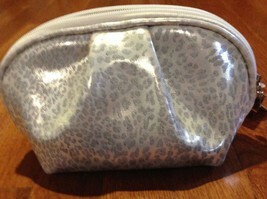 Ulta Cosmetic bag. It is plastic coated and has a leopard print, with a zipper top closure. 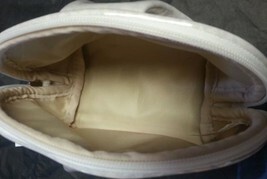 The bag is lined with silver fabric.